The “One Belt One Road” (OBOR) initiative first announced to the world in the fall of 2013 by President Xi Jinping of China is an extremely ambitious and far-reaching initiative that is not easy to achieve, but has significant potential impacts improving the social and economic structure of a major part of the world around Asia, Europe, and northeastern parts of Africa, where more than half of the world’s population lives. It could also have significant implications for political stability and peace in that region, as well as for the whole world. The OBOR initiative proposes to improve the transportation infrastructure among the countries in Asia, Europe, and northeast Africa so that it can give rise to closer and larger economic, social, cultural, and political ties among these countries and people. This is a win-win initiative that should benefit not only the more than 50% of the world’s population who are living in that region, but should also contribute to political stability and peace in the whole world. Many articles have been written about the OBOR initiative in the last 3+ years. 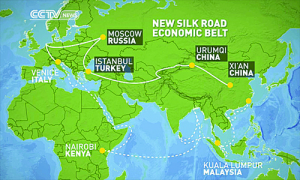 For example, in the October 13, 2015 issue of China-US Focus, He Yafei, former Vice Minister of China’s State Council Office of Overseas Chinese Affairs, wrote an article “Connecting the World Through ‘Belt & Road’.” in which he discussed global economic development and international geopolitical conflicts. He also showed the following map of OBOR, where the solid line is the land transportation infrastructure and the dotted line is the sea transportation infrastructure. In this essay, we provide a simple analogy to understand the meaning and significance of OBOR. The analogy is applicable to an important part of the OBOR initiative, although not the whole. I. Analogy: The analogy to OBOR is to look at the impacts on a metropolitan area from a good, comprehensive subway system. To be concrete, we will discuss two examples: Hong Kong and Beijing. A. Hong Kong’s Subway System: The Hong Kong (HK) subway system MTR (Mass Transit Railway) was put into operation in 1979, and has continued to expand during almost four decades. It provides comprehensive, rapid transportation connecting almost all parts of HK. It allows one to go from one place to another normally in a matter of tens of minutes, although reaching certain locations may still require connections by small buses. The subway trains start from early in the morning and operate until late at night; the trains are frequent, fast, clean, safe, and affordable. What is the significance of HK’s MTR? It means that one can live basically in any part of HK and work in any other part of HK, because one can usually get there in less than one hour. Conversely, if one is an employer, the potential employees can come from any part of HK. It means that one can shop not only in the stores near where one lives, but in almost any store in HK. Conversely, if one is a shop/business owner, one’s customers and employees can come from all parts of HK. It means that one can visit relatives and friends throughout HK. One doesn’t have to wait till the weekend or have vacation days to make such visits. If one is involved in an activity, e.g., a non-profit organization or a club or a sport, one can meet with other members of that activity from many parts of HK, and not limit to only other members who live nearby. If one wants to further one’s skills (whether it is a professional skill or a sports skill), one can take courses or undergo training in any part of HK. Conversely, if one is a teacher of such skills, one’s students can come from all parts of HK. If one wants to attend an event, e.g., a concert, movie, or lecture, one can attend that event even if it is held in the opposite end of HK. Conversely, if one is en event organizer, one can publicize to potential attendees all over HK. What this means is that from the perspective of work, home, business, recreation, social, etc., HK is basically completely interconnected. It is no longer a collection of many small localities, where one’s major circle of interactions is within a small locality. This has tremendous positive consequences in increasing and improving economic drivers, social interactions, recreation and cultural activities, etc. I lived in HK before the introduction of the HK subway and I have visited HK many times after its installation, I can personally attest to the tremendous increase in the vitality of HK due to the shrinking time and ease of inter-connectivity from the improved transportation infrastructure provided by the HK subway system. Of course, HK is not the first such example. For a long time, Paris’s Metro system has been an example for other countries to follow. I lived in Paris for almost one year in 1977-1978. At that time, almost without exception no matter where one lives in the large city of Paris, one is always within one-third of a mile from a metro station. Their trains were also frequent, fast, convenient, clean, safe, and affordable. That was one of the major contributing factors making Paris an envy of the world. B. Beijing’s Subway System: Beijing has had a subway for many years. However, its subway system really did not expand and become more comprehensive until the turn of the 21st century. I first visited Beijing in the middle 1970s. 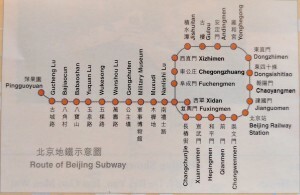 At that time, the Beijing subway system was very small (only a few lines) and was not a major transportation system used by the majority of people living in Beijing. I also lived in Beijing from late 1997 to spring 1999. Although the Beijing subway system already expanded quite a bit in those 20+ years from the mid 1970s to the late 1990s, it was still not very comprehensive. 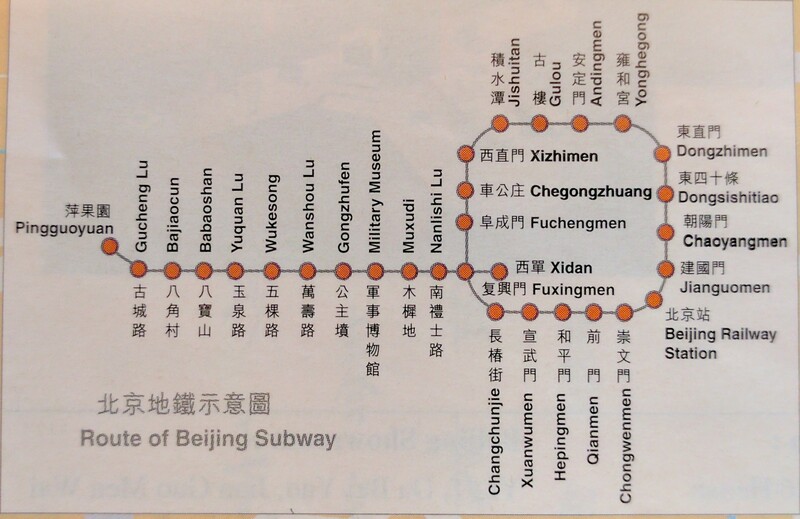 Map 1 shows the Beijing subway system in 1997. However, since then, the Beijing subway system has really expanded (especially in preparation for the 2008 Beijing Olympics) and has continued to expand, so that it can now be considered as a comprehensive subway system. Map 2 shows the current Beijing subway system, including some minor planned expansions to 2021. Last time I visited Beijing was in the summer of 2015. then the Beijing subway system can already be considered as a comprehensive system covering all of Beijing. However, it is still not nearly as comprehensive as Paris; there are many places in Beijing that you may be about one mile from the nearest subway station, but it is comprehensive enough so that the benefits discussed in the HK case (such as improving economics, social interactions, recreation and cultural activities, etc.) can also be realized in Beijing, keeping in mind that Beijing is a much larger city geographically than HK. II. OBOR Initiative: Keeping the above analogy in mind, let us now discuss the OBOR initiative which is to improve the transportation infrastructure connecting the various countries in Asia, Europe, and northeast Africa. One is the land transportation infrastructure (known as the One Belt), mostly via high speed trains. The other is the sea transportation infrastructure (known as the Maritime Silk Road), via trans-ocean ships. This is of course a much more ambitious and difficult objective than building a comprehensive metropolitan subway system, because it crosses national boundaries, and involves many different races, cultures, religions, languages, economic and political systems. However, precisely because of the latter, the potential impacts of the OBOR initiative in terms of regional prosperity, political stability and peace are even more significant. The potential impact on international political stability and peace goes beyond tha analogy to a metropolitan subway system We will first discuss the economic and social benefits, and then the political benefits. The countries in the whole Asia-Europe and also parts of Africa will be convenient trading partners with each other. One can buy and sell resources and products from a much larger base. The improved transportation infrastructure by land or sea will significantly shorten the time and cost of transportation as compared to before. For towns and cities near national boundaries, people may cross national boundaries to work and live. For example, workers and entrepreneurs may work and live in a nearby country during the week, and go back home during the weekend to be with the family, because transportation via high speed trains will take only a few hours to cover hundreds of miles. For locations farther away from national boundaries, people may still cross national boundaries to work and live. Instead of returning home every week, these workers and entrepreneurs may return home to be with the family only on a monthly basis; transportation by high speed trains should be more affordable and significantly less expensive than by planes. The OBOR transportation infrastructure that crosses national boundaries should lead to increased economic activities in various countries when they expand/improve their internal transportation infrastructure to connect to some of the key centers of OBOR. For example, the One Belt high speed train will most likely go across the central part of Asia-Europe between East and West. Russia can connect North-South one or more major towns in the Trans-Siberian Railway to a major stop of one of the One Belt train stations. This can be repeated in more than one location on the Trans-Siberian Railway, and thus significantly improve the productivity and use of the vast and sparsely populated Siberia. Similarly, towns/cities near a major port of the Maritime Silk Road can connect their internal transportation infrastructure to one of these ports. If one needs to acquire a skill, be it a work skill or a language skill, it will be much more convenient, effective, and economical to cross national boundaries to acquire that skill. B. Political Benefits: As mentioned before, because OBOR crosses national boundaries and involves people from different countries of different races, cultures, religions, languages, economic and political systems, it is not easy to make it work. However, precisely because different countries can reap great economic and social benefits from the OBOR initiative, it provides great incentives for the different countries to collaborate to overcome these obstacles. People from different countries will have to work together, they will need to have a better understanding of the different cultures and languages. They will have to consider people as human beings, and not Chinese, Russian, Indian, Turks, Saudi Arabian, French, German, etc., or Buddhist, Christian, Hindu, Muslim, etc. They will also have to resolve issues such as tariffs, currencies, and standards (e.g., different railroad gauges). To share in the prosperity offered by OBOR, the participants will need to work collaboratively and peacefully with each other. Perhaps the greatest benefit of the OBOR initiative is this increased understanding and tolerance of people of different backgrounds and the recognition of the need to collaborate peacefully with each other, in order to achieve the win-win objective. III. Summary: The OBOR initiative is a major initiative that could give rise to tremendous benefits to countries in Asia, Europe, and northeast Africa. By expanding and improving the land and sea transportation infrastructure, it can provide many economic and social benefits to all the countries participating in the initiative. It is a very challenging initiative and not an easy initiative to accomplish because it cuts across national boundaries, races, cultures, religions, languages, economic and political systems. However, in order to achieve the potential economic and social benefits, there is motivation for all participants to work together collaboratively and in peace to overcome these challenges to result in a win-win situation. That should lead to prosperity and peace not only in the OBOR region, but perhaps all over the world. This is then the most significant benefit of the OBOR initiative. *A shorter version of this article has been published in the 3/27/2017 issue of China-US Focus: http://www.chinausfocus.com/finance-economy/one-belt-one-road-initiative-its-meaning-and-significance. The Chinese version can be found at: http://cn.chinausfocus.com/finance-economy/20170327/14056.html. Great article! Very clear how this can foster peace, prosperity, and stability. Let’s hope this effort is successful. OBOR is the action on human peace and region stability. It must be successful even in years to come. Thank you for this clear, well-written article.